Looking for a Used 718 Cayman in your area? 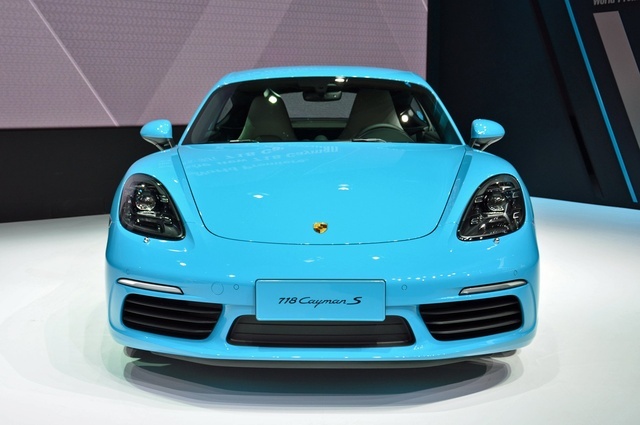 CarGurus has 903 nationwide 718 Cayman listings starting at $48,500. Building on the same recipe as the Cayman that preceded it, the new-for-2017 718 Cayman gains a longer name that pays homage to a successful small racing car that dominated tracks 60 years ago. Like the original 718, the new 718 Cayman utilizes a 4-cylinder engine, but that's about where the similarities end. The 718 Cayman’s new turbocharged 4-cylinder is placed just behind the passenger compartment, which gives the sports car a midengine layout. Such designs are rare but help centralize weight between the axles for stable handling. Two variants of the 718 Cayman are on offer: the 300-hp base trim with a 2.0-liter turbocharged 4-cylinder and the 350-hp 718 Cayman S with a 2.5-liter version of that same engine. Either way, the 718 Cayman is blisteringly fast: Porsche quotes 0-60 mph sprints of 4.5 and 4.0 seconds for the base and S, respectively. Both versions come standard with a 6-speed manual transmission, while Porsche’s Doppelkupplungsgetriebe (PDK) automatic transmission is available and is as advanced as its name is long. PDK is Porsche-speak for a dual-clutch automatic transmission, which offers the advantage of rapid-fire shifts over a conventional automatic. Regardless of engine or transmission, all 718 Caymans are rear-wheel-drive, which combines with their standard performance tires to deliver tenacious handling. The 718 Cayman might be fast in a straight line, but it was really built for a winding country road. Unlike older sports cars, the 718 Cayman pampers those inside. Materials and standard equipment befit its luxury-level status, though, as with any Porsche, buyers should be prepared to spend hours poring over the list of available options. Few car manufacturers allow such a large degree of customization. Still, the basics are all standard, including a touchscreen display with a standard 8-speaker audio system. Support for Apple CarPlay is also included, and the available navigation system adds Google Earth and Google Street View. In-car Wi-Fi to create a mobile hotspot is available, but requires a monthly charge. One thing the 718 Cayman does not offer is a rear seat. Like the 718 Boxster, essentially a convertible version of the 718 Cayman, the car’s midengine configuration renders it solely a 2-seater. While it has limited storage for small items (like a mobile phone) behind the driver’s and passenger’s seats, those looking for Porsche excitement with the ability to occasionally carry passengers in a pinch will need to step up to the 911—or the brand’s Cayenne SUV or Panamera luxury sedan. 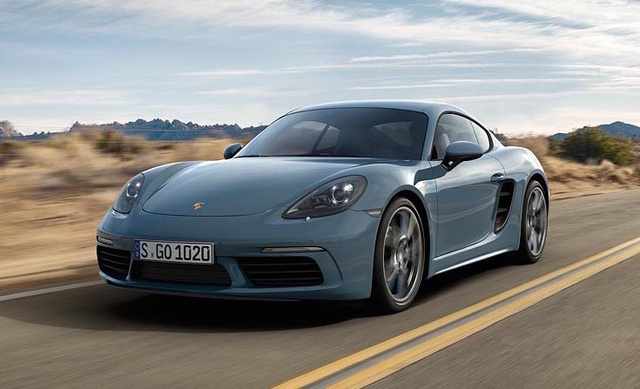 What's your take on the 2017 Porsche 718 Cayman? Thronaire I have a 718 Cayman S. If you want a gorgeous, blisteringly fast, beautifully balanced, mid-engine, car that is as comfortable around town as it is competent on the race track, and all at a bargain price, then this is your car. Don't believe me? Watch the Porsche 718 Cayman S Hot Lap at Laguna Seca. You can see why Motor Trend declared it the "2017 Driver's Car of the Year." Users ranked 2017 Porsche 718 Cayman against other cars which they drove/owned. Each ranking was based on 9 categories. Here is the summary of top rankings. Have you driven a 2017 Porsche 718 Cayman?